Above: Snack time from the garden for caprese salad! I’ve been harvesting from the garden and my favorite snack is caprese salad. I am a “from the hip” cook but here are some general guidelines. Ripe tomatoes, sliced or cut to preferred size. 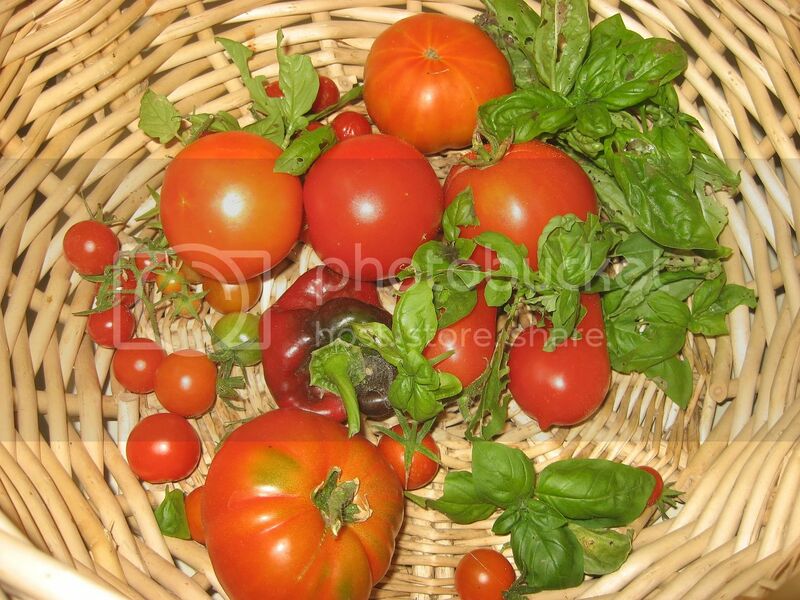 Combine tomatoes, cheese, basil, garlic, olive oil, balsamic vinegar, oregano, salt and pepper in a large serving bowl. Let sit at room temperature for at least 2 hours. This entry was posted on Wednesday, September 30th, 2009 and is filed under Baking & Cooking, Mountain Lake Resort.